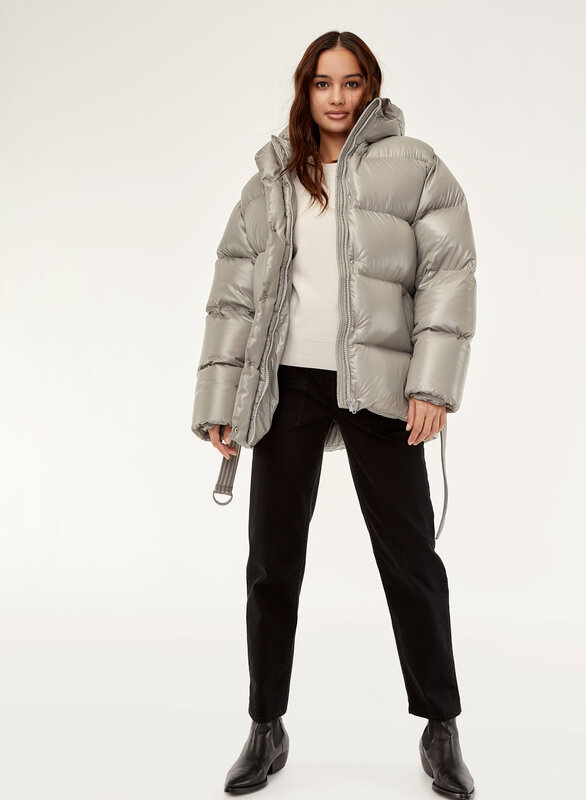 Styled with sandra sweater and ryley pant . 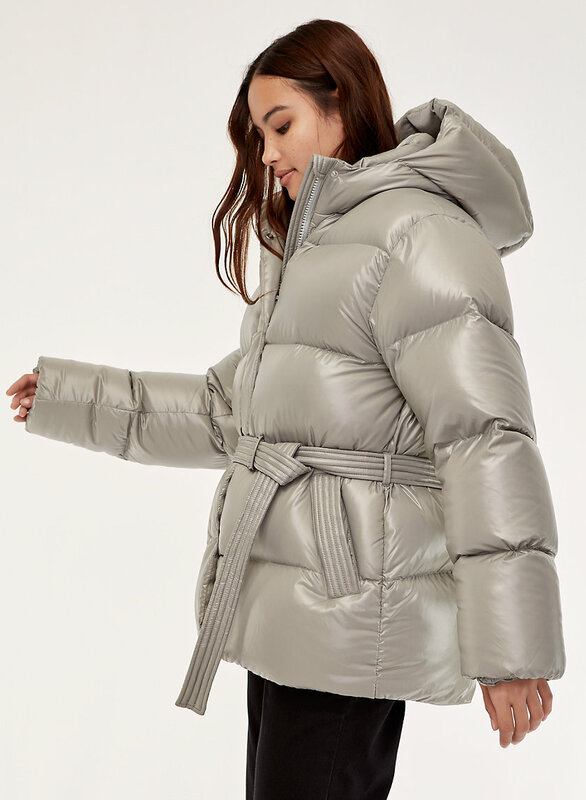 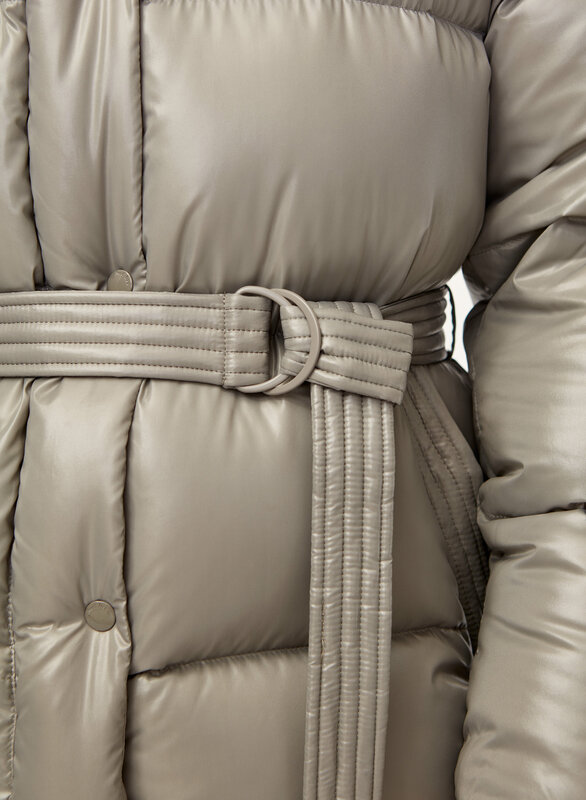 Engineered to deliver warmth to -30°C / -22°F, this belted puffer is designed with a water-repellent fabric from France. 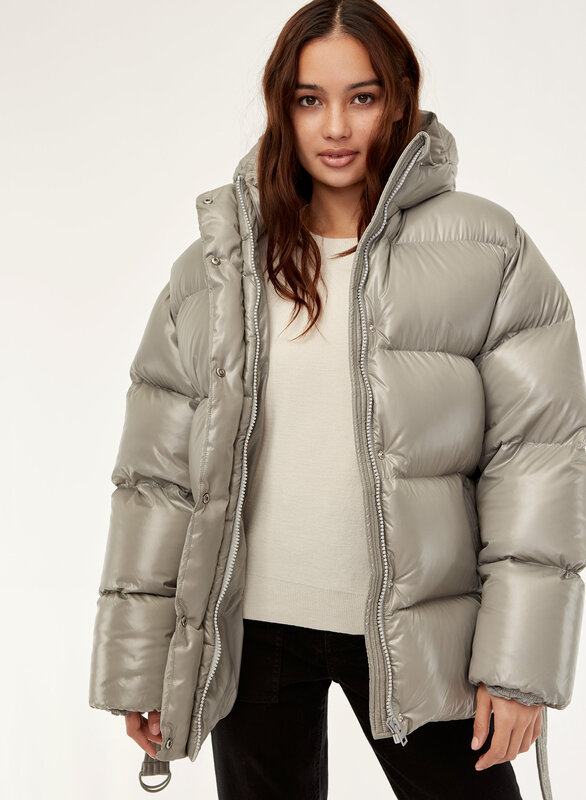 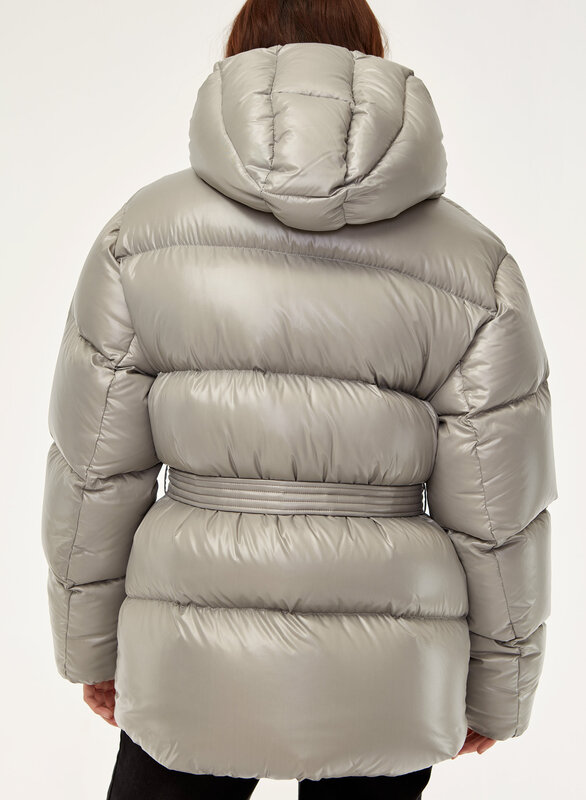 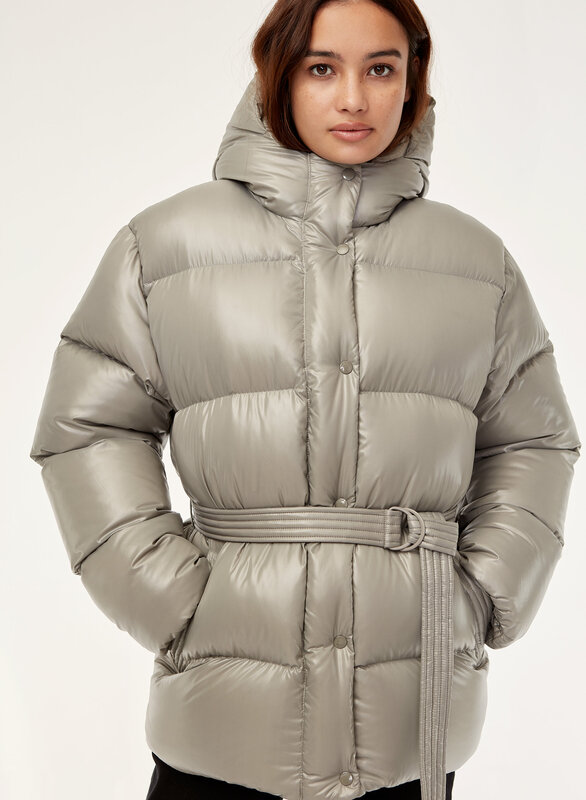 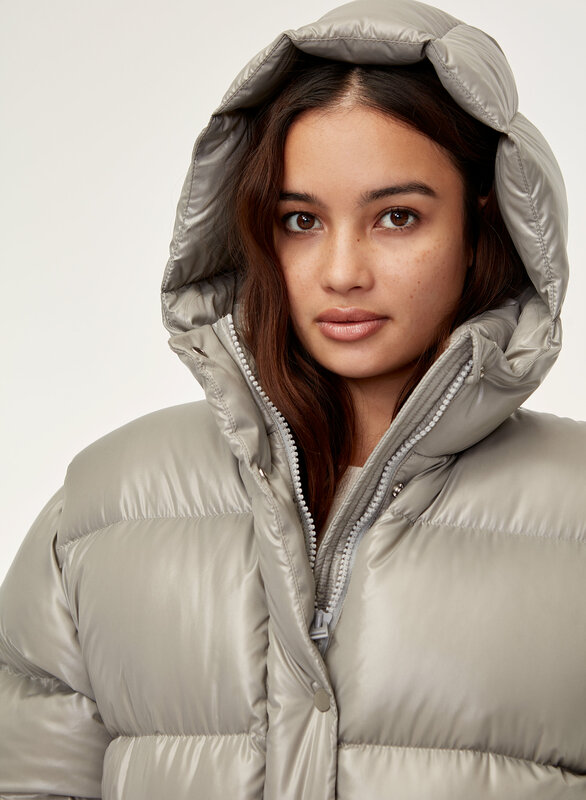 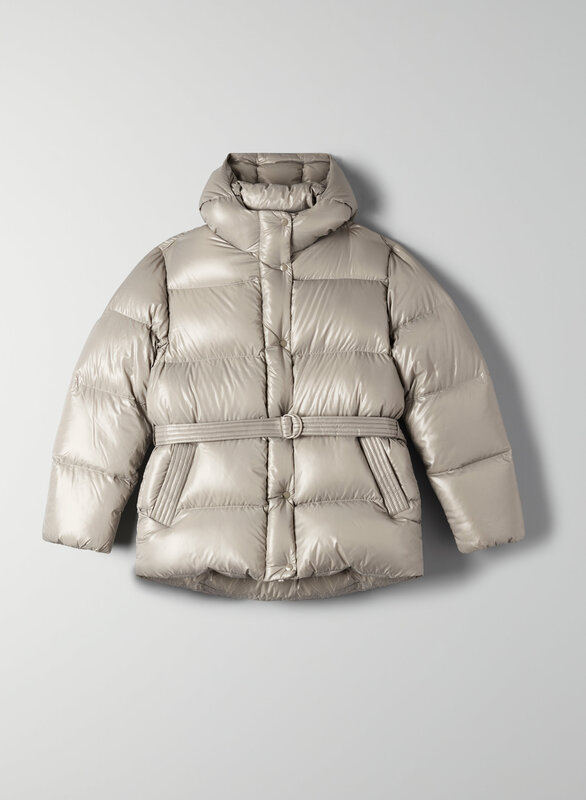 It's filled with responsibly sourced goose down to keep you toasty and has a super glossy finish.